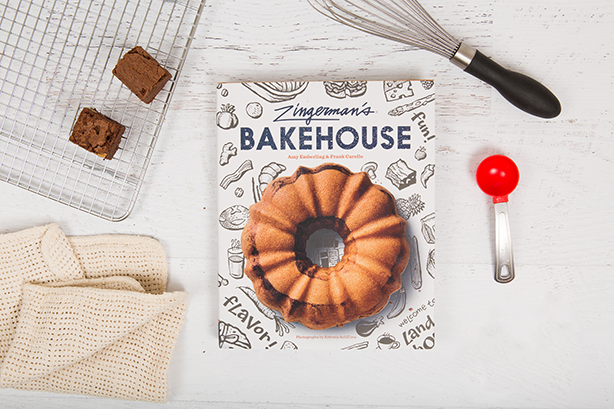 The new Zingerman’s Bakehouse cookbook is out October 3! We just celebrated Zingerman’s Bakehouse’s 25th anniversary, and now we’re excited to announce three awesome, amazing, fantastic (I told you we were excited!) special events to usher in the release of the new cookbook. Published by Chronicle Books, Zingerman’s Bakehouse, which includes over 50 color photos, behind-the-scenes stories, illustrations, and 65 tested recipes, will be available through national and local booksellers as well as Zingerman’s retail locations starting October 3. We’re planning a Q&A with authors and Bakehouse co-owners Frank Carollo and Amy Emberling, a special brunch, and tasting. Each event will include a book signing. 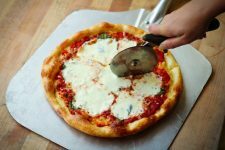 As a Special Edition of their popular Speaker Series, ZingTrain will mark the release of Zingeman’s Bakehouse by hosting a book debut celebration with Frank and Amy. Veteran journalist Micheline Maynard will lead a discussion that will touch on baking and behind-the-scenes stories from 25 years in business. Ticket includes abundant appetizers and desserts from Zingerman’s Catering featuring Bakehouse breads and sweets, a drink, and a copy of the book—the authors will sign books for all guests during the event. Ticket price is $75 per person, available online at Zingerman’s Events. Zingerman’s Roadhouse’s Special Event #215 will put a tasty spin on beloved classic products from Zingerman’s Bakehouse. The brunch will include a plated toast course plus a buffet-style menu featuring Parmesan Pepper Croque Monsieur, Vegetable Strata, Panzanella Salad, a flight of donuts and more. Frank and Amy will be on hand to meet guests, share stories, and sign books. Ticket price is $50 per person, available online along with full menu at Zingerman’s Events. Books can be pre-purchased for a discounted price when reserving tickets and will be distributed to guests at the event. Books will also be available for purchase at the event. Zingerman’s Delicatessen will host an evening of Bakehouse flavor while Frank and Amy reminisce about 25 years in business. The event will also include Deli sandwiches featuring the best of Bakehouse breads, Magic Brownies, and other surprises. Each guest will go home with a signed copy of the new book. Ticket price is $50 and available online at Zingerman’s Events. 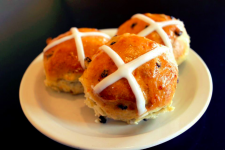 Hot Cross Buns: Don’t Miss This Storied Easter Treat!